In some situations, you may need a specific type of receipt, such as a rent receipt or a donation thank you letter. However, if you send a person or a business an invoice and they request a receipt, then you can often just slap a big "PAID" note across the original invoice and send a copy to them as the receipt. If you are using an invoice template, you can also change the header to say "Receipt" instead of "Invoice." Our simple receipt template below provides a visual example of how this can be done. We basically just took our simple invoice template, included a "Paid" watermark image, and updated the header. 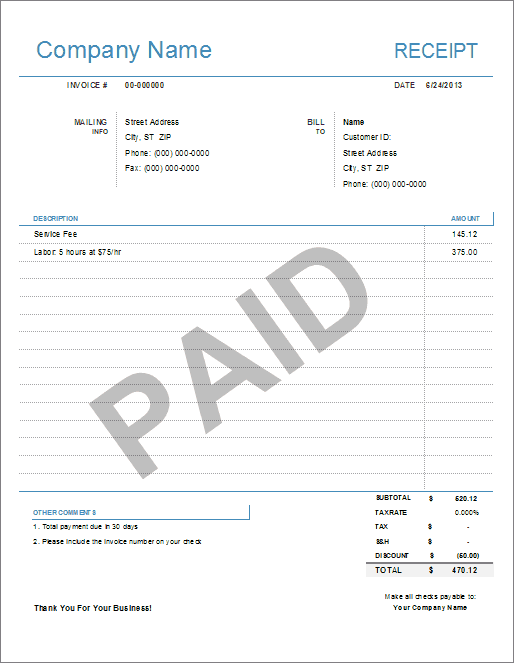 This template shows an example of how a receipt was created from an invoice by adding a "Paid" watermark image and updating the header to say Receipt instead of Invoice. 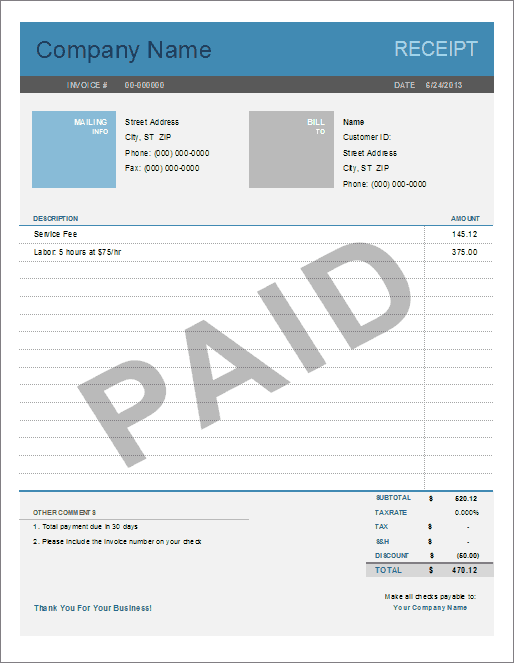 To create your own receipt templates from an existing invoice, you can either create your own image for the "Paid" watermark, or you can go ahead and download this template and copy the text box into your invoice file to use when you need it.